Used to shield the arms when doing a torso scan. 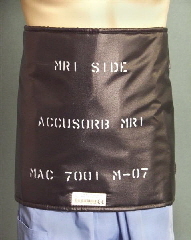 Used to shield the Tibia, Fibia and Femur above and below the knee when using a knee coil. 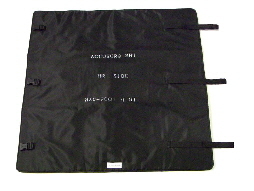 Shields the torso when scanning the arms or neck. 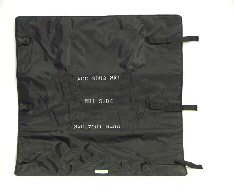 Shields one leg while scanning the other or can be used to shield a child’s or half an adult torso. Covers an entire adult torso from the armpits to below the waist. 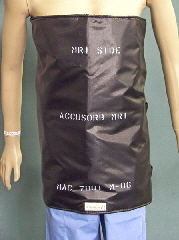 Specially sized to cover the area from under the breasts to below the waist. Removes one foot and ankle form the field of view while imaging the other. Specially proportioned to cover a pediatric sized leg. 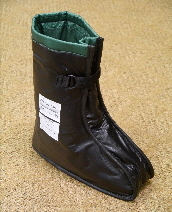 For use with obese patients. 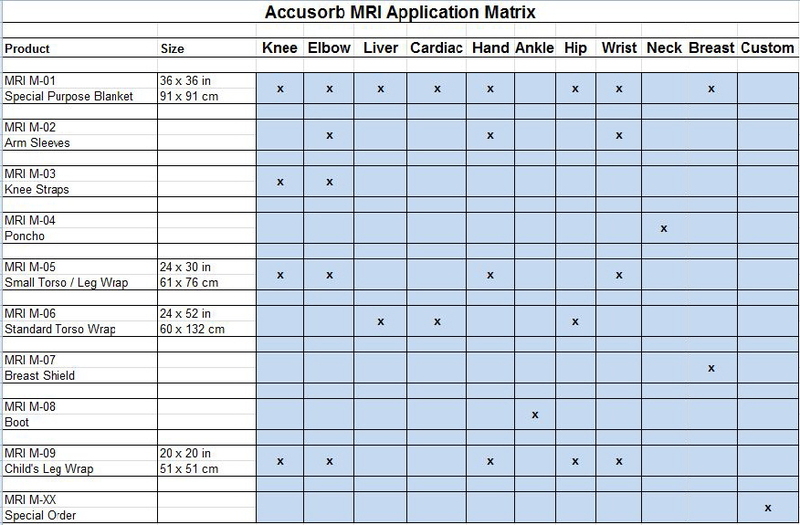 We can work with you to design an Accusorb MRI product to meet your unique needs. • Items marked (*) are most versatile and recommended for first time buyers. 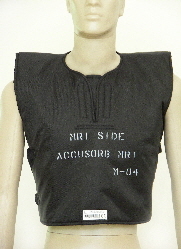 • Recommended starter kit is a pair of Arm Sleeves (M-02) and a Small torso/Leg wrap (M-05). • Knee straps and Arm sleeves are sold as pairs unless otherwise requested. • The knee straps in a pair are of different lengths - the upper one is longer for better fit. • Special order price is for 2 dimensional product only. Any special design work will be additional.